Heating, ventilation and air conditioning – those are critically important to comfort. Indeed, those can be what makes a house a home. They can make a commercial establishment into the kind of place that people want to come back to. The flip side is also true: it’s hard to be even remotely comfortable in a home without quality heating, ventilation and air conditioning. Even if your restaurant / office / retail stores / other kind of commercial establishment is the best in the industry, people aren’t going to want to spend much time there if the HVAC isn’t working. 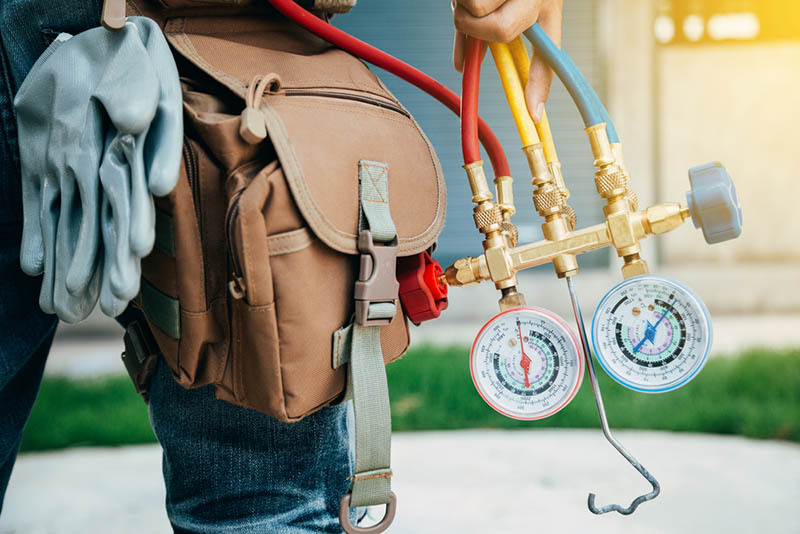 In this blog, we’ll touch on some of the HVAC in Las Vegas NV services we offer, as well as some other ways that we can help you. We’re not exactly breaking news here, but it gets hot in Las Vegas. Opening a window isn’t a good enough answer, and there aren’t enough fans in the world when it gets blisteringly hot outside. At Air Pro Master, we’re certified to work with and on all of the major air conditioning brands. That includes the models you’ve heard of, the ones you see online and on television, that are in so many homes. We’ve worked on them in the past and we keep up to date on the new ones. By that same token, we can also work on the lesser known models, too. Our technicians have a wealth of experience in working on air conditioning units of all kinds. Even during the hottest months, it can get cold at night. Sometimes, early in the morning, there can be a chill in the air. When you need your heater or furnace to work right, we’ve got you covered. Air Pro Master has been helping people in the area with their heaters since 2005. In the last 14-plus years, we’ve repaired and maintained heaters for homes and companies all throughout the area. Whether you live in a luxurious mansion, or run a small mom and pop shop on the outskirts of town, or any size building in between, we can make sure you have a working heater. There’s more to living in comfort than just having a working heater and air conditioner (although that’s critically important). We also make sure that your water heater and water filtration systems are working properly, too. Pure, safe water can help you, your family, your employees, and everyone else to live better. By that same token, it’s hard to be comfortable at home without a working water heater. Speaking of water, we also have emergency plumbing technicians on staff as well. We pride ourselves in being able to help during emergencies. However, we also take pride in being able to help people head off emergencies, too. Our maintenance plans make sure that your air conditioning, heater, water filtration, plumbing and more work so you don’t need to have an emergency. Learn more at (702) 901-0900.